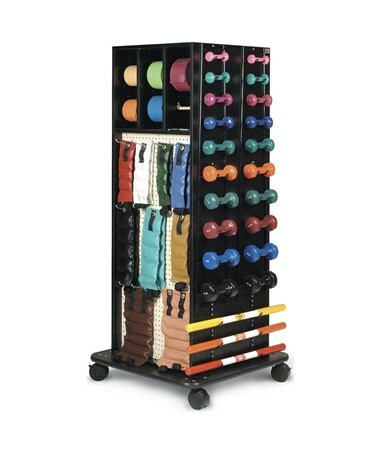 The Hausmann Industries Mega-Rack Weight Rack is a multi-purpose, high capacity storage device designed to store & hold exercise equipment and various other items used in a physical therapy or rehabilitation facility. Sturdy and Multi-functional Design. 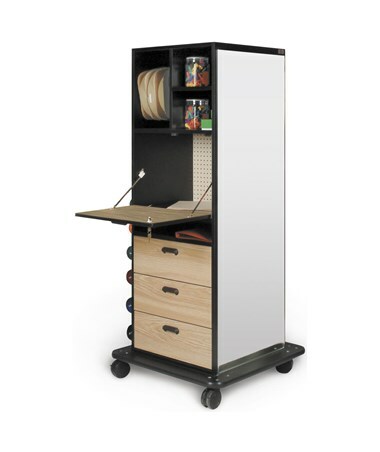 Made with a durable black laminate finish, the Mega-Rack Weight Rack features an Oak laminate door, drawer fronts, three 8-inch high laminate drawers on nylon rollers and a work counter that is designed with a convenient drop lid with lock. The included full view, distortion-free glass mirror has an American National Standards Institute (ANSI) Shatter Stop safety backing. Its pegboard is Almond coated and has eleven (11) safety hooks for Hugger® Weights, twenty (20) dumbbell hooks, and three (3) sets of hooks for optional Weight Bars. 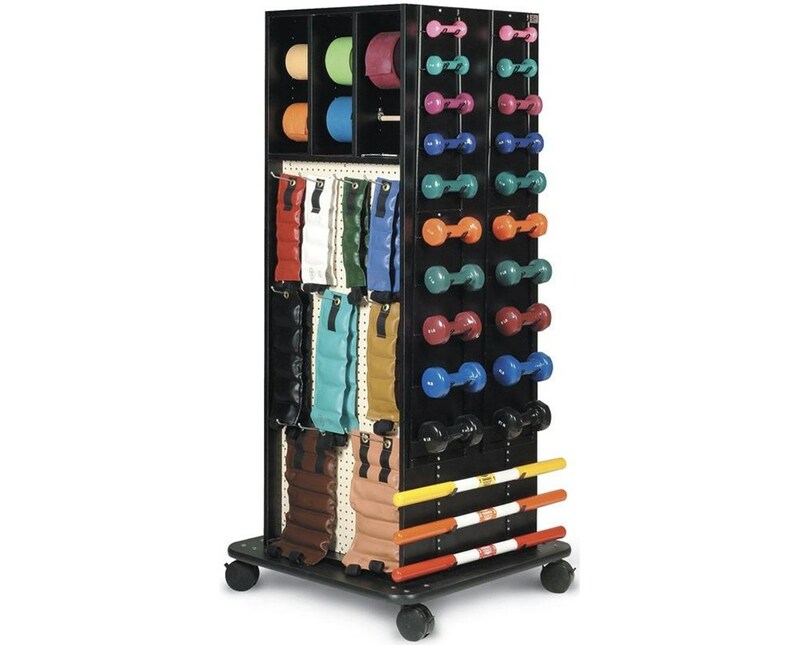 The Rack has built-in dispensers for VELCRO® brand rolls and REP Bands™. Hassle-free and Safe Movability. Constructed with a 32" x 32" base plate, the Mega-Rack has a bumper T-molding on all four sides to avoid any damages or scuffs. The Rack is mounted on a 4" diameter, twin-wheel, locking casters for easy transport around the facility.